Good morning. Happy Freedom Friday to you all. I pray you walk in the freedom that God has given you. Have you ever wondered why an entire congregation can attend the same worship service and hear the same preached message; however, walk away with different interpretations? There are many different variables to why this happens. Depending on what a person is going through can affect how they receive and interpret a message. Perhaps the person came in the service late and caught the middle of the message that would affect the context in which the message is received and interpreted. The level of spiritual maturity in a person can also affect the reception and interpretation of the message and so forth. Many people try to tailor the Word of God to their life, which leads them to justifying and making excuses for their sin. If a preacher is preaching on the subject of gossiping, fornication and lying-a person who is trying to tailor the Word to the life would take scriptures out of context in order to be at ease with their sin. They will throw scriptures around like Romans 3:23 (NIV) for all have sinned and fall short of the glory of God, and try to justify that it’s okay to sin because we ALL have sinned. Perhaps they will toss around the following scripture trying to justify their sin because they are saved by grace and it’s okay that they keep falling because God has already saved them; Ephesians 2:8-9 (NIV) For it is by grace you have been saved, through faith—and this is not from yourselves, it is the gift of God— not by works, so that no one can boast. I would suggest that those who try to tailor the Word of God to their life do not accept accountability, will not accept correction, do not feel convicted and finally will not change. When you try to make God’s Word line up with your sinful ways you are not being accountable to God. Therefore whenever you hear the preached word you will not accept the messages that points out your sin. Essentially you are rejecting correction. 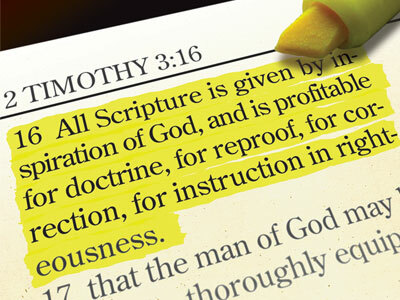 A couple of purposes of God’s Word is to rebuke and offer correction. But if you won’t be accountable to God’s word then you won’t accept correction to His word. When you decide to live according to your flesh you won’t change and you will suffer. Now the correct way to live is to tailor your life to the Word of God. This will lead to accountability, acceptance of correction, conviction of the heart which will ultimately lead to change. Someone who is tailoring their life to the Word of God will hear a message and remain accountable to God. They will check in with God through prayer, reading and studying His Word, attending church service and more. They will be sensitive to instruction from their heavenly Father and be open to correction. When a person is trying to live according to the Word of God their heart will be convicted if they hear a message that calls out their sin. They won’t be able to sit in church on Sunday and make excuses for their sin. A person who is accountable to God, open to correction and has a convicted heart will be willing to change to please God. 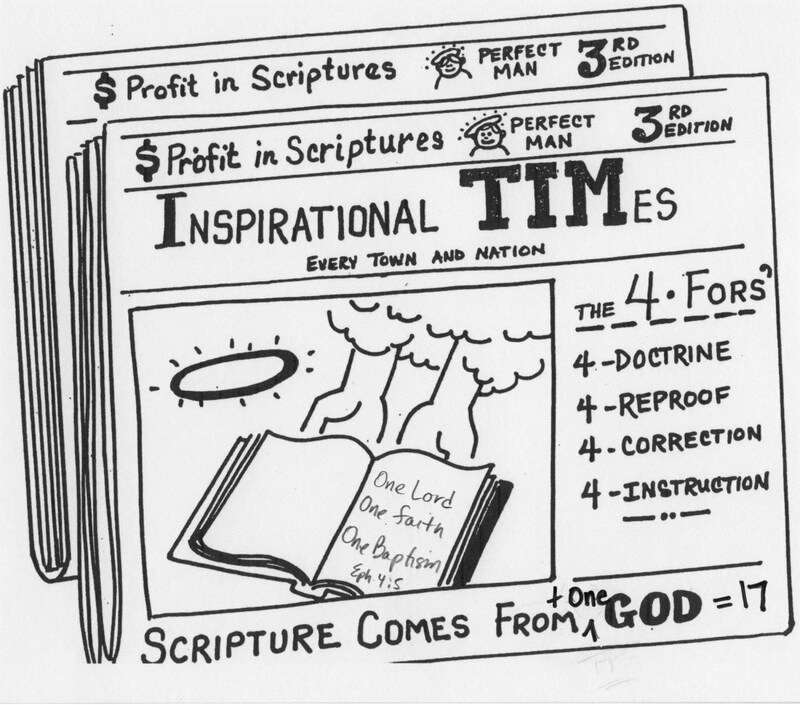 Are you tailoring the Word of God to your life or are you tailoring your life to the Word of God? Have a blessed weekend. Think on the things of Christ. Good afternoon! Happy Wednesday to you all! Who are you? If someone asked you today what would your answer be? Identity is defined as who someone is or the qualities or beliefs that make a particular person or group different from others. Who do people identify you with? Do the people you work with associate you with Christ or Satan? Do the people in your neighborhood characterize you as a believer, agnostic or an atheist? Knowing who you are is an important part of living a purposeful life. If you don’t know who you are then you can be easily persuaded and manipulated into doing things that are contrary to your identity. When you lack confidence in who you are then you begin questioning your beliefs. Perhaps non-believers see you stumble and question your Christianity. Maybe your church family has ostracized you due to a past sin. Perhaps your family members told you that you were never going to be anything because of your no-good father or mother. Satan will strategically use people who are closet to you to cause you to question your identity. Thoughts like, “Maybe I’m not good enough, maybe I’m not saved, maybe God doesn’t love me, maybe I am better off as a sinner” will begin running through your mind. If Satan can get you to question your identity then he can get you to compromise your spiritual walk. I am here to remind you today of your God-Identity. You were created in the image of GOD! Yes, GOD! 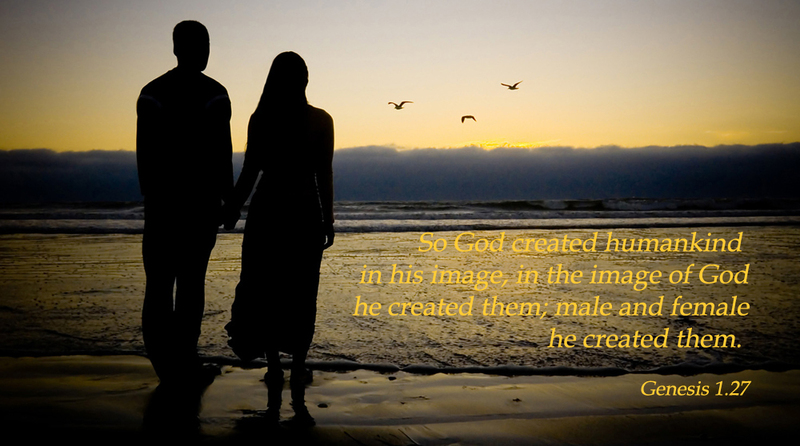 God created male and female in His image. He knew what He was doing when He created you. Since you were created in the image of God you ought to live a life that is pleasing to Him. Even though you may stumble and fall, it doesn’t erase the fact that you were created to look like GOD! When people remind you of your past, remind them that you are saved by Grace. God’s grace gives you things you don’t deserve because He loves you that much. When people try to discredit you because of sin, remind them that you are covered with God’s mercy. God’s mercy spares you from the punishment you do deserve. Why? Because God loves you. You must be pretty special if God would create you in His image, cover you with grace, wrap you up with mercy and send His Only Begotten Son to die on the cross for your sins! If you don’t trust in anything, trust in your God-identity. Your God-Identity says that you are loved, you are special, you are desired and so much more. When you walk in the confidence of who you are in Christ then you can stand up against the naysayers, haters and agitators. Does your lifestyle reflect your God-identity? Take time to think about this. Good morning! Happy Tuesday! I pray your week is going well thus far. Last week I made the decision that I would resume my running regime this Tuesday (today). Last night I began my preparation by updating my RunKeeper application on my phone, I charged my Garmin running watch and set out all of my run gear; hat, shoes, socks, runner’s ID bracelet, arm-band, jacket, pants and shirt. I was so excited the night before because the last time I ran was in May 2014. I stopped running due to my pregnancy. My bladder wouldn’t allow me to run around the corner let alone for miles and miles at a time. *Giggling* I set my alarm for 3:30a.m. ; however, due to my excitement to rejoin the pavement, I rose at 3:00a.m. Yes, that says 3:00a.m. I was able to read my devotional plans, pray, feed my baby, put clothes in the washing machine and dryer, put some food in the oven, get dressed, pack my snacks, lunch and work items and load up the truck all before I left the house at 4:25a.m. to meet my run sisters for an early morning run. Now remember I hadn’t run in nearly 10 months. Here I am 12 weeks postpartum and I’m about to get re-acquainted with the outdoors. I would be remiss if I didn’t share a little bit about my testimony. While on maternity leave, I was afflicted with excruciating pain on my left foot. I could barely walk, standing was a challenge and even sitting still caused pain. Only a few people knew I was dealing with this. Not only was I trying to recover from giving birth to a baby, but now I was nearly room-ridden. I was confined to the upstairs. Sometimes God will sit you down so He can get your attention and remind you of some assignments you need to complete. (That’s another message for another day). Let’s fast forward to today. The blessing is that I went from being unable to sit, stand or even walk without discomfort to standing outside ready to brave the pavement. *Excuse me while I shout*. Running is so therapeutic and while I was reuniting with the pavement, the wind and nature, I was also listening and talking to Jesus. I went outside with the mindset that I was going to resume my running regime, but I was going to take it easy and do a walk-run for a total distance of about 1-1.5 miles and get home. After all, I’m a new mother, I haven’t run in over 10 months, this is a lot on one person’s body I must take it easy. These are just a few things that ran through my head. I began walking to loosen up my joints and decided I would do a walk-run to get my 1-1.5miles instead of trying to run straight through. Jesus and I went back and forth through this mornings experience. I used mailboxes and street lamps to determine my walk-to-run ratio. I would get to a certain street lamp and begin running and then I would see a mailbox up ahead and say when I get to the 5th mailbox I will start walking. It was then that Jesus said get to the corner. So I was like “Umm kay Jesus.” I would run and get to the corner. I immediately resumed my speed walking and began scouting my next street lamp or mail box that would signify my next run cycle. During the entire run Jesus and I went back and forth. I even told my run sister that I was only doing part of the route because I had to adjust. She said, “We don’t leave anyone behind, so go ahead and walk if you need to.” I felt like she had been talking to my personal Jesus. There was no way out of me. The word press in Greek is dioko (Lexicon: Strong’s G1377), which means to make to run, to put to flight, to run swiftly or to press on: figuratively of one who in a race who runs swiftly to reach the goal. God wants us to run swiftly to Him. He wants us to stop limiting ourselves by making excuses. He wants us to PRESS! It’s in the pressing that you get to the next level. It’s in the pressing that you surpass pain to euphoria. It’s in the pressing that you go from I can’t to I can. It’s in the pressing that you go from being afraid to a being a conqueror. It’s in the pressing that you go from weak to strong. It’s in the pressing that you finish the task to the glory of the Lord! This morning I completed 3 miles with the help of the Holy Spirit. Jesus dismantled my excuses and encouraged me to PRESS! What do you need to press towards today? Don’t psych yourself out. What have you been afraid of? Perhaps it’s starting that new business-PRESS. Maybe it’s applying for that new job-PRESS. Perhaps it’s applying for that new home, going back to school, starting that ministry, etc. No matter what it is I URGE YOU TO PRESS!!! Have a blessed day PRESSING towards your blessing!